We can all agree that a fine shot of espresso is the gateway to paradise. We’re pretty sure it’s in the bible somewhere. And that’s why we flock to our local gourmet coffee shops every morning to lavish our taste buds with the magic that is crema; and end up paying an arm and a leg for it too! 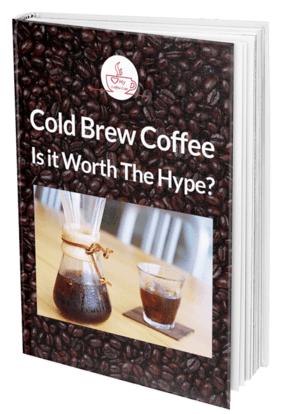 So what if there was a way to sip on a cup of heaven, one that rivals or even exceeds the quality at that over-priced coffee outlet, right from the comfort of your home? How neat would that be! 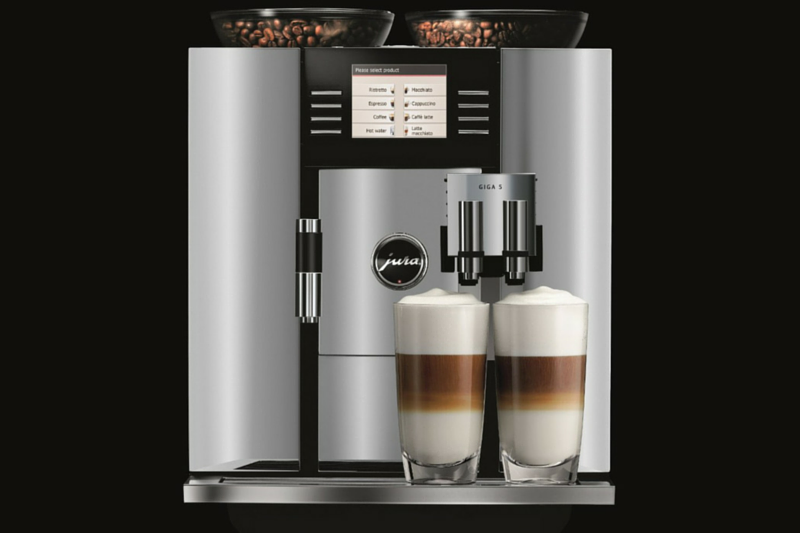 Well, the fine folks at Jura may have come up with a machine that is the realization of every java-junkie’s fantasy. They've fittingly named it the Giga 5 Automatic Coffee Center. Not a simple machine; a center! And it has the price to match. At around $5,600 $5,140, this is as top of the line as it gets when it comes to home brewing systems. Designed and engineered in Switzerland, this king of espresso machines promises to wow you with quality and service that is unmatched. But at close to six grand, does it really hit you with enough gloriousness to justify the pretty steep price? Oh the Giga 5 is definitely one handsome machine. If there was a GQ version of coffee makers, it would certainly feature on a number of covers. It features nice clean lines and an inescapable premium presence to it that will pretty-up any counter-top. You have the option between an aluminum or a black finish, sure to match your kitchen’s decor. And sporting dimensions of 12.6 x 16.3 x 19.6 inches, you better have enough space to accommodate this beauty. One of the first things you’ll notice about this machine is the two bean hoppers (pictured above) sitting majestically at the top. The Giga 5 allows you to brew two different cups of coffee at the same time. See why it’s every coffee lover’s dream! The two 9.88 ounce bean containers are complemented by two ceramic grinders, a 15-bar pump, and a pretty sizable 87-ounce water tank that sits to the left of the machine. Highlighting the front of the machine is a TFT color display that is controlled by a rotary dial located at the top, and a stack of buttons that lie to either side of it. This control panel is pretty ingenious actually, as it allows you to tweak with the numerous programmable options of the Jura with complete ease. And we do mean a lot of programmable options! The first thing you’ll want to do when you unwrap your shiny new baby- well, after taking countless selfies with it, of course- is to go to Expert Mode from the menu and tweak with a couple of settings. Like all new gizmos, there is a bit of a learning curve involved, but the intuitive control panel on this bad boy makes it pretty short. 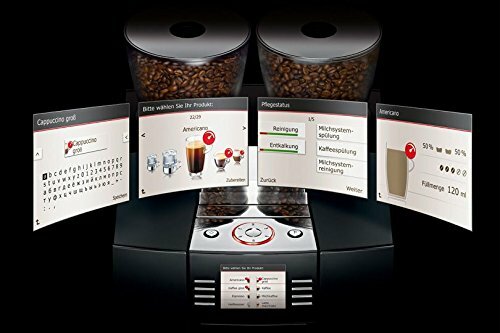 In Expert Mode, you’ll be able to pick from 3 brewing temperatures and 5 coffee strengths. Don’t worry. If you’re not a coffee snob, yet, the pretty comprehensive user-manual will help you navigate around all the different settings to land on the one that perfectly works for you. Like it’s worth five grand, that’s how! 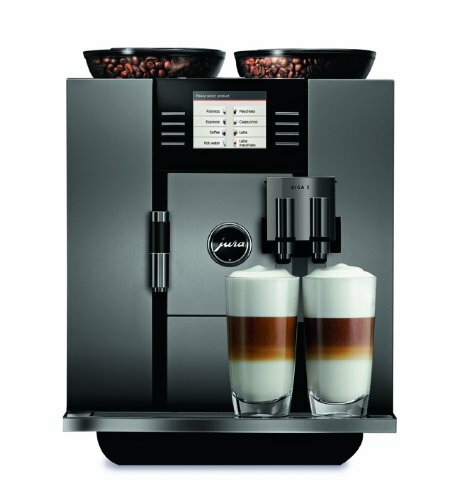 The Giga 5 coffeemaker grabs the whole concept of Super Automatics and takes it up a couple of staggering notches higher. 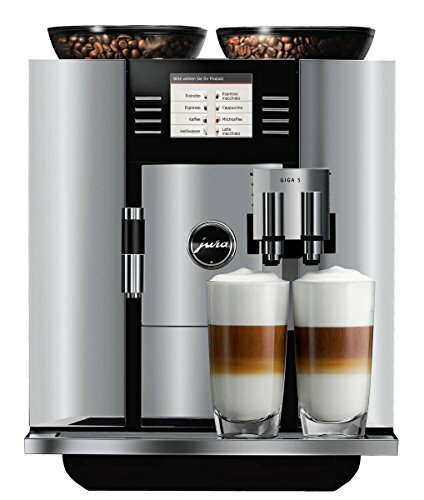 With just this one machine you have the ability to whip up a cup of joe that would make a seasoned barista blush, and at just the touch of a button. Now this is where the fun begins! All you have to do is connect the included tubing into a slot at the side of the dual spout and dip it into your milk container. There is a setting to determine just how much time of milk volume and foam you’d like, ranging from 0-120 seconds. Note: Just ensure there is enough milk in the container lest the machine go crazy and start spewing hot steam all over the place. You can decide to sample the 12 barista specialty coffees that are a complete treat to make; everything from Irish coffee, Café Melange, Red Cool to Shakerato. Doing so is remarkably easy thanks to the texts and pictures on the TFT screen that patiently guide you through the entire process. The Giga 5 coffeemaker is designed to bring commercial-level results into your kitchen, and manages to pull this off brilliantly. If there’s one element that this machine really excels in, it’s consistency. The first cup is brewed just as well as the last without a discernible drop in quality. And it’s pretty snappy too! 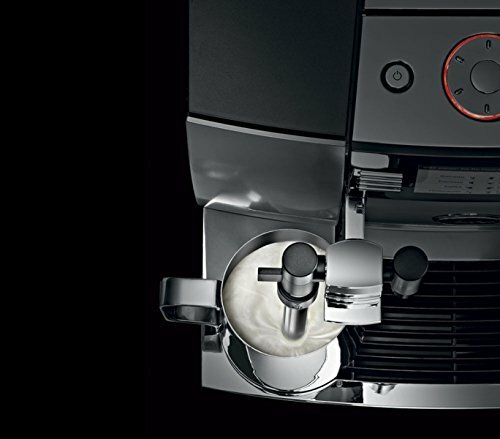 Expect to brew that cappuccino in less than a minute and a gourmet-comparable espresso in under half a minute. All this speed is a life-saver during those mornings when you hit the snooze button like you’re getting paid for it. 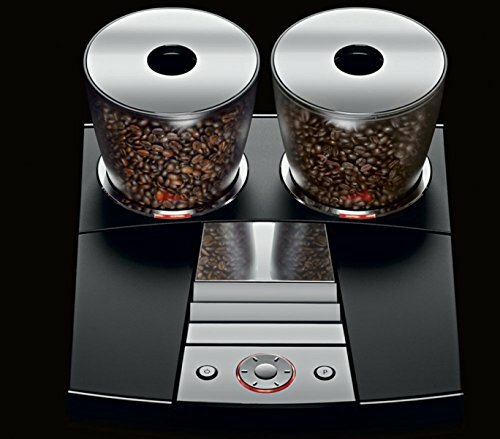 The dual bean hoppers, ceramic grinder, and spouts also place this automatic coffee machine in a league of its own. There is just so much you can do with all these options! You can place caffeinated coffee in one hopper, decaf in another, and end up having a half-caf cup of java to satisfy your caffeine cravings without getting too jittery. And in the spirit of energy saving, there is an auto-off feature that you can set between 15 minutes to 15 hours. Mother Nature thanks you Jura! But while this coffee maker is a stunning piece of engineering, it isn’t without its flaws. Not really deal-breakers, but flaws all the same! And leading the pack is the lack of a water level indicator on the tank. It might seem trivial, but not easily knowing how much water is left in the tank can be insanely frustrating! And with the Giga 5, you're forced to lift the lid off to know if you have enough water to make your morning cappuccino. Luckily, the tank's sizable capacity of 87 ounces is enough to whip up a decent number of mugs. And while the machine does a brilliant job of reminding you to clean it, certain parts like the milk frother that need to washed by hand can be an absolute pain to clean. For the price of this baby, the joe better make your taste buds get up and do a line dance! And it manages to do just this. The crema on the espresso can only be defined as exquisite. It has none of the bitterness and all of the flavor that you’d get from a barista-prepared cup. All the other drinks have a smooth and balanced taste that will have you calling in sick at work just to sample every one of them. Long story short, the results will astound you! Impressively tough and durable build. Stunning aesthetics with premium finishing. Ability to make 2 different drinks at the same time. The Jura Giga 5 price is $5,499.00 and is available to purchase today on Amazon. The Jura Giga 5 is a force to reckon with. It combines aesthetics, functionality and convenience in staggering proportions. Forking out $5,500 $5,140 for a coffee maker might seem insane. But when you tally just how much you spend at that coffee outlet every morning in quest of the perfect espresso, you’ll realize that figure isn’t too ridiculous. Hey, if at all you can afford it, this machine will give you espressos so good you’ll want to give a sermon on it.